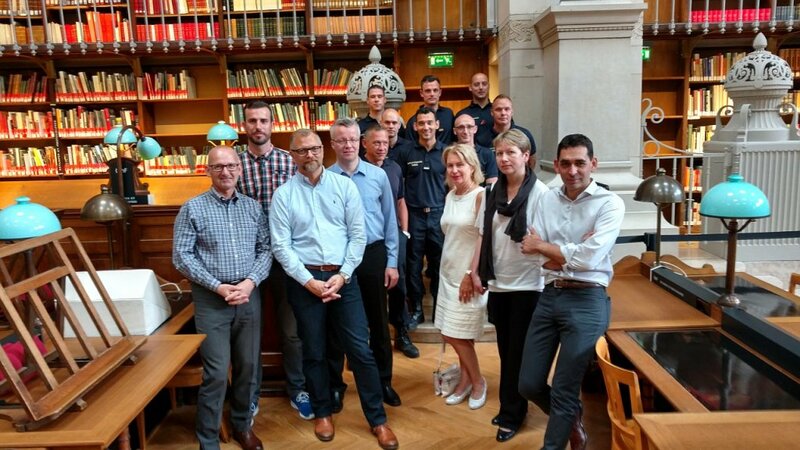 At the beginning of the CTIF Fire Prevention Commission meeting, the commission members were welcomed by Aurélien Sabourdy from French Firefighter Association and Franck Lorgery from French Federation of Fire Professionals (http://www.ffmi.asso.fr/accueil). Franck Lorgery presented a short lecture about the Fédération Française des Métiers de l’Incendie, FFMI. 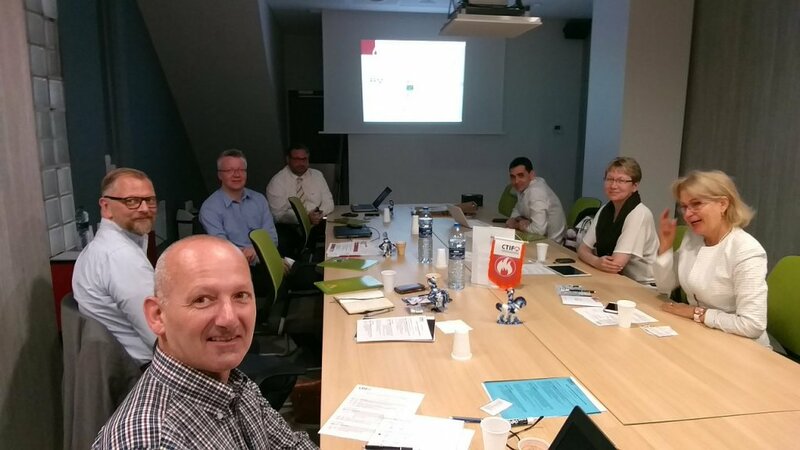 We learned that the FFMI represents the moral and professional interests of manufacturers, service companies, major players in fire safety in France. FFMI includes 250 companies and covers 3 billion euros market with 25,000 employees. In the afternoon we visited the Bibliothèque Nationale de France, the National Library of France, located in Paris. It is the national repository of all that is published in France. Discussion opens a problem of sufficient fire prevention measures when retrofitting or refurbishing existing hospitals. CTIF Fire prevention commission supports the installation of fire suppression systems In hospitals. Commission members discussed about existing questionnaire ( the first draft was prepared in 2013 and revised in 2016) / see Appendix 12, and possibilities of extending it to at least the following areas: describing the aims for the survey, what are the CTIF member states expectations from the fire prevention commission (needs…), fire suppression measures – primarily domestic, fire prevention tools and methods, evacuation procedures from entertainment facilities, historic buildings, etc. The questionnaire must maximize user-friendliness. When completed, the questionnaire will be distributed through CTIF, CFPA, and FEU member states. Discussion opens a problem about the core elements of the fire brigade terrorism preparedness program and challenges for the fire brigades when it comes to its expanding role in terrorism response. The commission will collect the best practices covering fire brigade integration in terrorism preparedness procedures. The second-day visit was hosted by The Louvre Museum. It is the world's largest museum and a historic monument in Paris, France with 44000 visits per day. 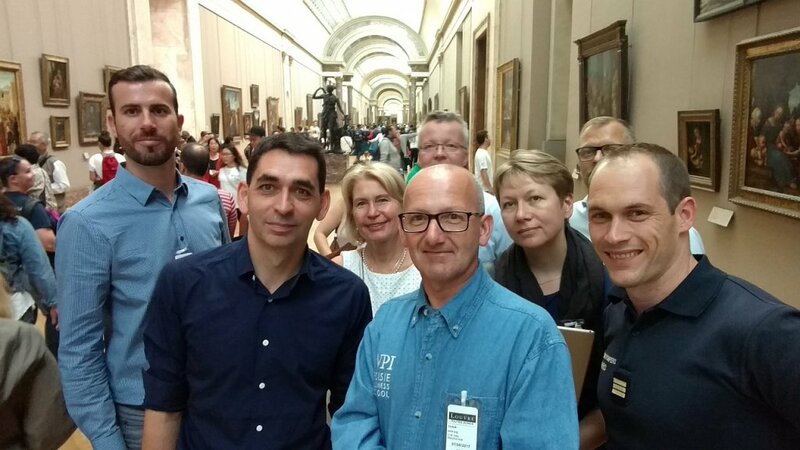 The visit started with the short presentation of Louvre fire brigade. The main focus of the presentation was about the protection and fire prevention measure of valuable exhibits (see fig. 3). We have noticed a global trend of the fire safety rules deregulation and government delays in reviewing fire safety regulations. To reduce the fire safety related costs, governments are trying to reduce fire safety measures. This new and rather reckless action can potentially lead to a serious loss of life, fire related injuries and material loss. European immigrant crisis opens question and the discussion about the fire safety procedure in various languages (fire prevention tips, fire order, evacuation procedures, etc.). Commission members open a discussion about the sufficient fire risk assessments. Carry out a fire risk assessment is particularly important in the case when the governments deregulate fire safety measures. As the most fires are preventable, it is important to know what are the leading causes of home structure fires and home fire injuries and casualties. The commission members were unanimous about the importance of the data about home structure fires and major causes of the fire.